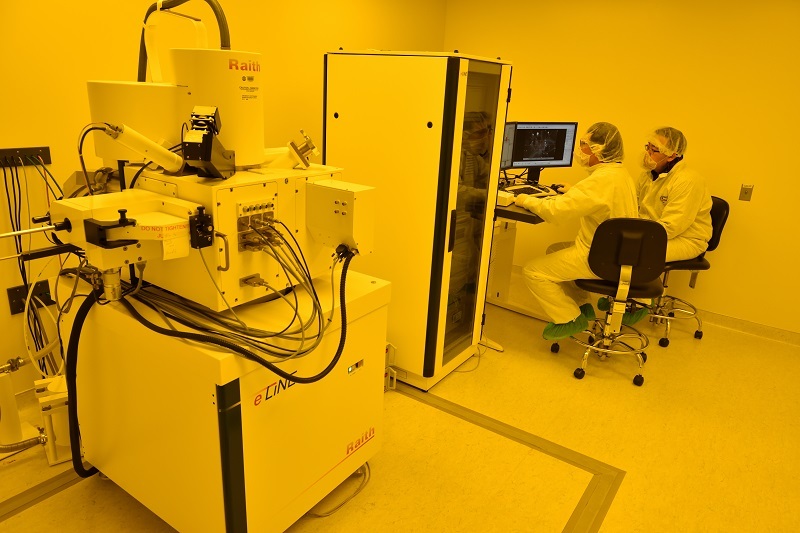 The Raith e-LiNE is an electron beam lithography tool which utilizes thermal field emission filament technology and a laser-interferometer controlled stage. The system is equipped with a load lock, an automatic height laser sensor, and both In-lens and SE2 detectors. The Raith e-LiNE exposes designs that require a high degree of resolution by dividing the design into small writing fields. The standard writing field size is 100 μm, and the electron beam sequentially exposes single pixels (2 nm) before stitching the writing fields together to form the final pattern.